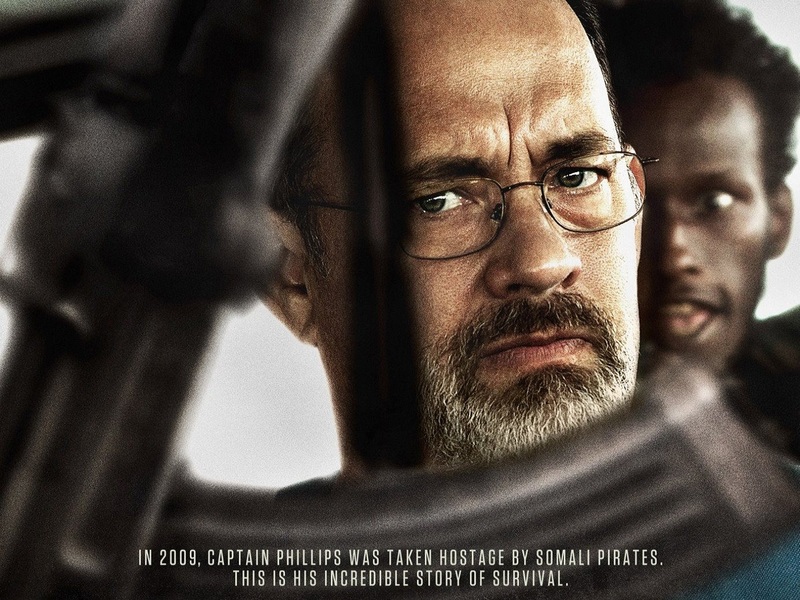 Captain Phillips, Paul Greengrass’ film of the pirate hijacking memoir by Vermont-based Richard Phillips, A Captain’s Duty: Somali Pirates, Navy SEALS, and Dangerous Days at Sea, is compelling, consummate filmmaking. From the first shot to the last, you feel that tremendous security you get when you are sure that the filmmaker is in total control of his material. Whether the story interests you or not, the technique is going to be sublime. Well, the story is gripping. Phillips’ vessel was taken by a small boatload of Somali pirates in 2009; things developed from there. If you followed the story in the media then, or have heard about it more recently, you’ll know what happened, but, lest you didn’t, I will go no further with plot. Suffice to say, the events that transpired were more than gripping enough to make an excellent, at times brilliant, two hour and fifteen minute movie. 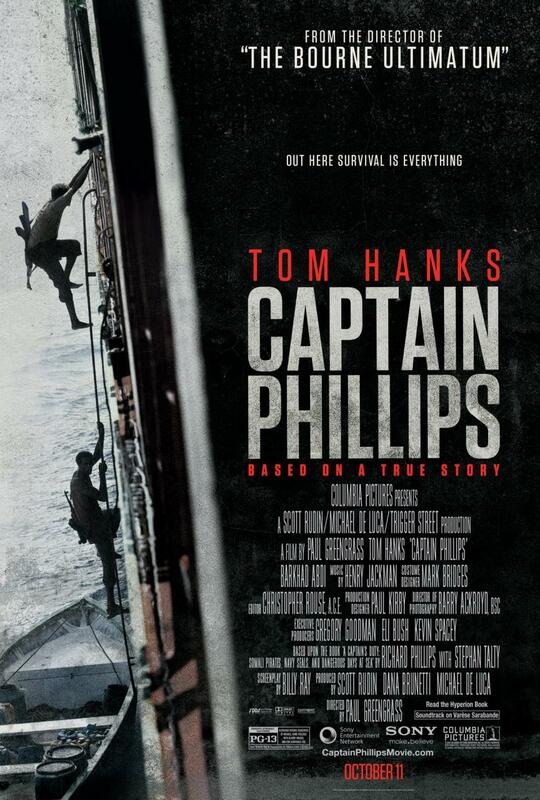 Tom Hanks is excellent as Phillips. I have not always been a fan of Hanks’ choices, but I have always admired his skill, and it’s on subtle, perfect display here. Greengrass has so much story to tell that backstory and character set-up has to be done in a scant few minutes at the very beginning of the movie; the rest of Phillips’ character has to come through in his responses to events barely any human beings on the planet will ever go through, often with little dialogue, and Hanks somehow gives us a full rendition despite these restrictions. This is a hard role: Phillips reacted, rather than acted: he is a passive hero, and I suspect Bruce Willis would never have accepted the role. Passive leads are almost impossible to pull off; this one is Oscar-worthy (I have no doubt Hanks will be nominated and he is certainly in the running to win). 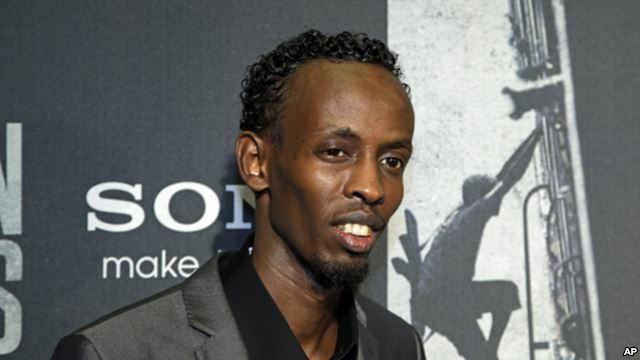 There could also be a Best Supporting Actor nomination for Barkhad Abdi, who plays Muse, the self-appointed leader of the pirates, though his actually winning the gold statue is far less likely. Like the other “pirates”, Abdi is a first time actor, found amongst the Somali community in Minneapolis (the four main pirates cast were all friends among the Minneapolis Somali community – an incredible piece of casting). His performance is ferocious, tenacious, layered and absolutely convincing, but the Academy shies away from bestowing awards on those performances that could be thought of as flukes or one-offs (have a look at all the kids who’ve been nominated over time; only Anna Paquin and Tatum O’Neal actually made it to the podium). Greengrass’ house style is in full effect: multiple handheld cameras record the action in a documentary style, allowing the actors to dictate the blocking, the camera operators being directed to follow them, rather than the actors being placed within a frame. It’s a system he’s honed to a fine art (though, frankly, it’s always worked for him since his earliest films) and it serves this sea-bound tale well: life onboard an ocean vessel is far more “handheld” than stationary. 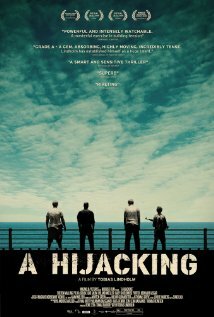 Unlike Tobias Lindholm’s recent film A Hijacking, which had very similar themes and settings while telling a very different story, the tale of Captain Phillips does involve greater forces than just him, his crew and the shipping company, and it is here that Greengrass shows a slightly more commercial sense than usual. The second half of the film, and particularly the third act, have a heroic, grand approach, with plenty of swooping helicopter shots that actually could work in a Bruce Willis movie. Although these moments are slightly atonal to Greengrass’ normal style, they do not dislodge the movie from its stable bearings: it’s a solid beast, immaculately paced, forcefully told, and absolutely worth your attention on the biggest possible screen. A multiple Oscar contender for sure – and I’m talking Best Film and Director here, amongst others – it’s one of the films of the year. Already seduced by the blurbs, your review has cemented my decision to see both of these… thank you. You were right! I agree wholeheartedly with everything you’ve said here. Thank you!